Twitter is setting the mood this Diwali by offering special hash tags to celebrate the spirit of Deepawali. 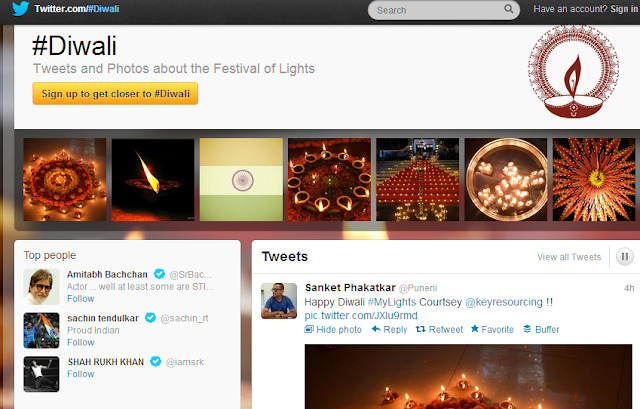 You can join the celebration with the special Diwali Events Page. You may highlight your Diwali wishes by using the #Diwali hashtag and you may also share lovely pics of Lights by using the #MyLights hashtag.